LIYSF students will be visiting TATE at the 2015 forum. Curious to see what’s in stock? We speak to them to find out more. 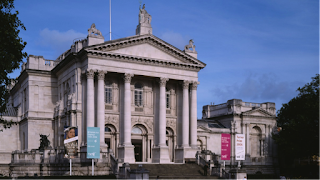 Image caption: Tate Britain, London. The Conservation departments for all Tate sites are located at Tate Britain. The Tate Gallery first opened its doors in 1897 to showcase the British Art Collections of Henry Tate and other collectors. The site of the Gallery was previously the Millbank Penitentiary from which British convicts would depart for Australia (this could be where the term “Pom” used by Australians for a British person derives: Prisoner Of Millbank = Pom). The building which houses Science and Sculpture Conservation was a Military Hospital during the First and Second World Wars. Image caption: Dr. Bronwyn Ormsby, Senior Conservation Scientist, loading up samples of paint. © Tate. The Conservation Science department has two full-time scientists and one part-time preventive conservator. The team work together to contribute to scholarship and collections care, and have specific scientific skills and areas of research, with some overlap and collaboration. Bronwyn Ormsby will be leading your tour; she is responsible for the chemical analysis of samples removed from works of art. 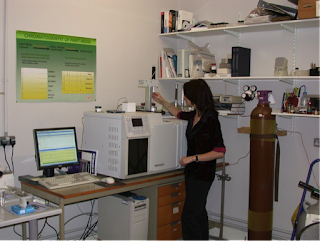 She also advises conservators about analysis and research, and translates scientific information. The Sculpture Conservation department has eight conservators and two technicians. They are tasked with conserving the sculpture items in Tate’s collection which can often be made out of challenging material – one day they could be working with an object made of wood or marble, the next day something made from bread or tapioca! Tamar Maor will be leading your tour; she will guide you through the process for getting an object ready for display or loan.